What a turn out to the inaugural Women’s Only Triathlon! 120 participants splashed, spun and strolled around the course – enjoying a fun and safe event as a Come and Tri event. Click here for results for the Women’s Only Triathlon. We would appreciate your feedback by filling in this short survey. I thoroughly enjoyed the event – I felt so much more comfortable in the pool that the open ocean! I think I might be ready to come and give an open water Tri a go now after today’s event. 58 participants in the Enticer Triathlon, 33 participants in the Sprint Triathlon, 2 participants in the Sprint Duathlon, 6 Teams in the Teams Enticer Triathlon and 5 Teams in the Teams Sprint Triathlon. A massive thank you to all the event sponsors and supporters as well as all the volunteers on the day! Come along, learn and experience a triathlon in a supportive environment. You don’t need fancy gear or any experience – just a willingness to tri! 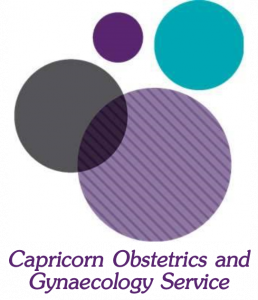 This event is proudly sponsored by Capricorn Obstetrics and Gynaecology Service and Rockhampton Regional Council. REGISTER ONLINE HERE – Registrations close 12pm Friday 29th March. 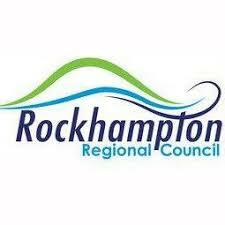 Check out the Athletes Guide for details and maps of the Rockhampton Women’s Only and Juniors Triathlon. Event will be held at Rockhampton War Memorial Pool (South Side) with the swim in the pool, transition in the carpark, with a bike course around the Rockhampton Show Grounds and Huish Drive, and finish with the run leg around Col Brown Park. You have your choice of distances 300m Splash 9km Spin 2km Stroll or 600m Splash 18km Spin 4km Stroll. On the day participants will start in waves with 10 ladies going off at a time. Roads will be closed for a safe event. Flippers or floaties can be used to get you through the swim if needed – teams are welcome but no sneaking the blokes in! Any bike is good to go for a spin on and if you only want to walk instead of run that is up to you. Individual Cost: $35 per participant (includes one-day Triathlon Australia insurance) or $25 for Triathlon Australia members. Team Cost: $15 per team member (you can have teams of two or three participate in each leg of the event). As part of your registration, our amazing event supporters will be hosting free clinics to help you improve your knowledge and skills in the lead up to the event. Register early to secure a spot in one or all of these clinics. Dates and times of all clinics still being finalised. Movement Improvement will be hosting a run clinic on Saturday 23rd March at 7:30am at Hegvold Stadium (Sir Raymond Huish Dr). You will need to wear exercise gear for running, joggers and water. Check out our website for more details on Triathlon‘s and heaps of information to help get you started if you’re not sure. We also have detailed maps of the course and loads more information. The event will be followed by a Junior Frogs Triathlon for all the kids too!